Paperback dictionary contains more than 75,000 entries, including words from science, technology, business and medicine. Reference tool offers more than 5,000 usage examples, synonym lists, special sections and tables, pronunciations, etymologies and grammatical information. 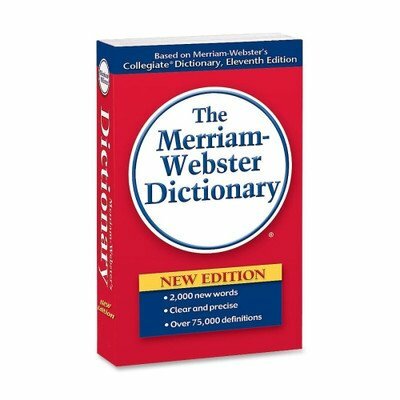 Special sections and tables have been updated to reflect Merriam-Webster's Collegiate Dictionary, Eleventh edition. Dictionary contains 960 pages. If you have any questions about this product by Merriam-Webster, contact us by completing and submitting the form below. If you are looking for a specif part number, please include it with your message.